Located east of Keene, Granite Gorge was originally known as "The Pinnacle." The area now offers a variety of activities in addition to skiing. The Pinnacle may have opened as early as 1959-60 as a rope tow served ski area. The area began to grow in the early 1960s, as Sel Hannah was hired to lay out ski trails. For the 1961-62 season, the area, managed by John Sommers, featured two rope tows and a skating rink. Plans were advertised for a chairlift and snowmaking. The area stepped up a notch in 1962-63 when it added a 1,000 foot long novice Poma lift on a new 100 foot wide slope. As a result, business increased by 280% over 1961-62. The main portion of the ski area received a T-Bar in 1967, likely increasing the vertical drop by about 50 feet to 300 feet. By the time 1971-72 arrived, Pinnacle featured 4 slopes served by the T-Bar and Poma lift. 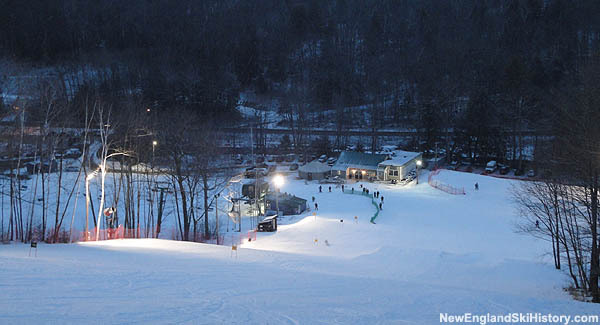 While the area had night skiing, it still did not have snowmaking. In 1974-75, Pinnacle advertised day skiing 6 days a week and night skiing 5 evenings a week, as well as full camping facilities. With larger ski areas developing snowmaking and installing chairlifts, The Pinnacle was left behind. As a result, the ski area closed in 1977. In 1999, Baybutt Construction purchased the former ski area and commenced studies for a potential reopening. 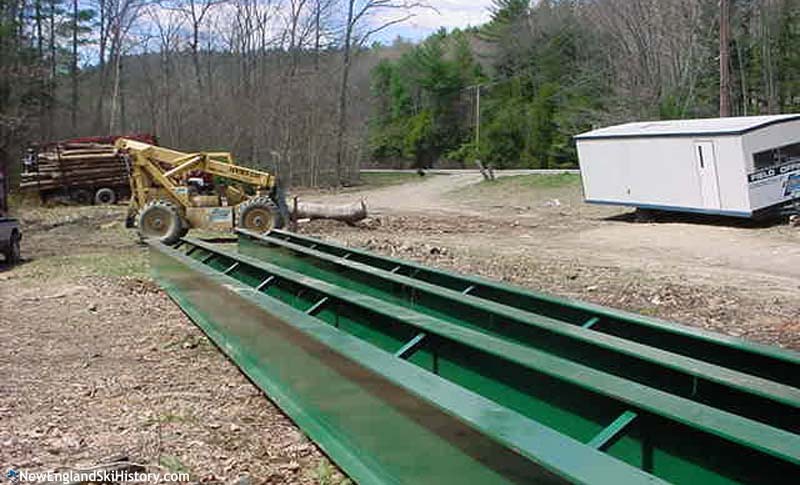 After a quarter of a century of idleness, the Pinnacle became a work site in the spring of 2002 when a new bridge was built from Route 9 to the base area. The Pinnacle reopened in early 2003 under the name of "Granite Gorge." The tiny startup on the Bunny Buster slope featured a rope tow and snowmaking. 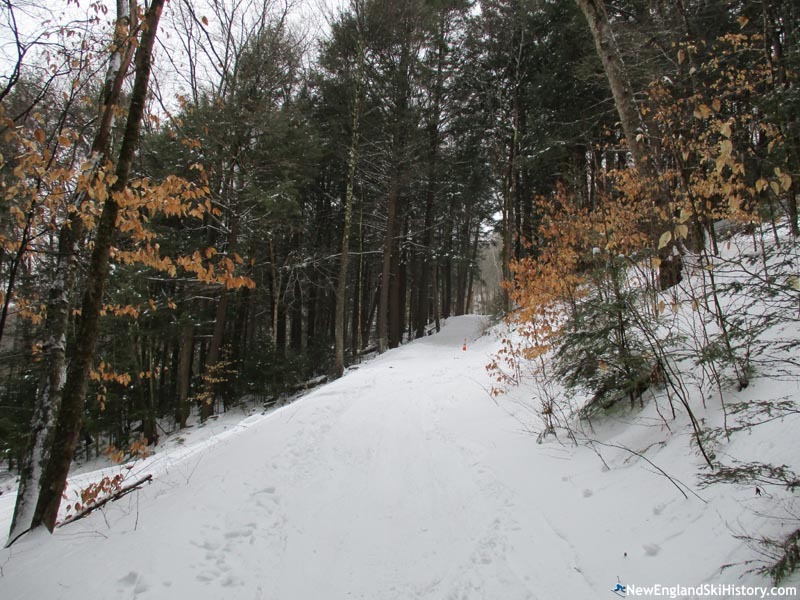 After multiple years of planning and decades after the first proposal, Granite Gorge saw a significant expansion in 2005 with the addition of a double chairlift to Spruce Peak. Snowmaking was expanded to the top of the chairlift for the 2008-2009 season, while night skiing followed for the 2009-2010 season. In 2010 Granite Gorge was approved for a 300 person lodge, to be built in phases. Portions were completed in 2011 and 2012. In late 2012, parent company Baybutt Construction found itself in an escalating financial situation. One of Baybutt's lendors, Interstate Electrical Services Corp., arranged for a foreclosure auction of some of Baybutt's properties, including Granite Gorge ski area, for February 1, 2013. The auction was cancelled at the last minute and the ski area remained open. Granite Gorge has continued to operate and grow in subsequent years, including adding to its off season offerings and events. The ski area made a dramatic cut in prices for the 2017-18 season, slashing the day ticket price by one third in order to draw more skiers. "Hi Fred Baybutt co-owner of Granite Gorge here. Great history report; couple things I never knew!An update for you regarding GGs status. The ski area is up and operating and will be fine! Come on up for "